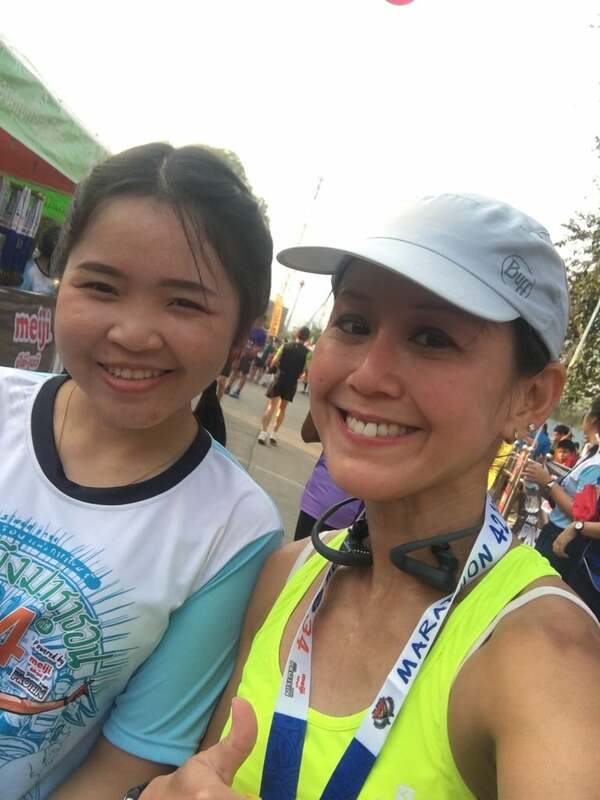 Race Review: Chom Bueng Marathon 2019 (by healthobeing) | JustRunLah! 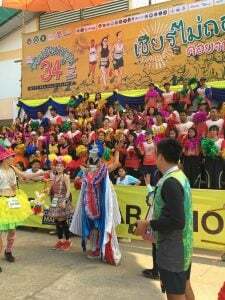 Another Thai race which I participated Mid Jan. 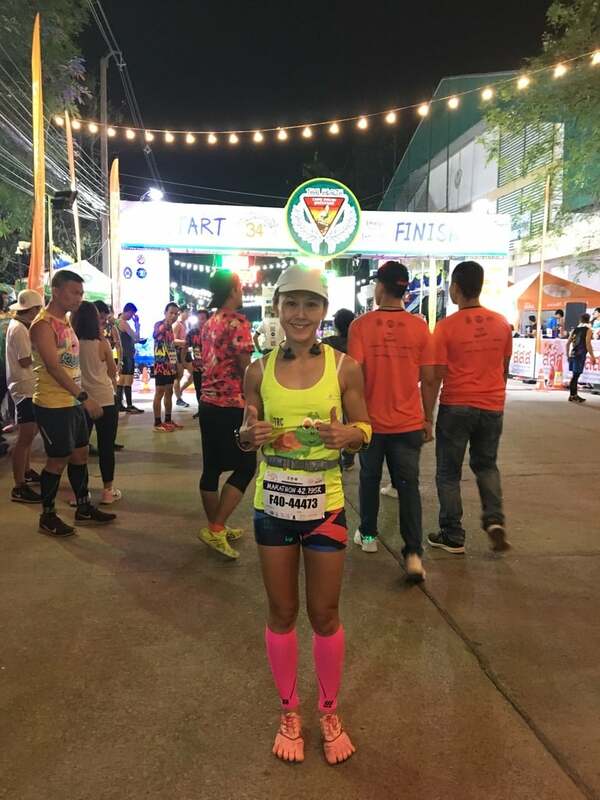 Taking place in the province of Ratchaburi, the race is really little known to foreigners but extremely popular with the Thai locals. 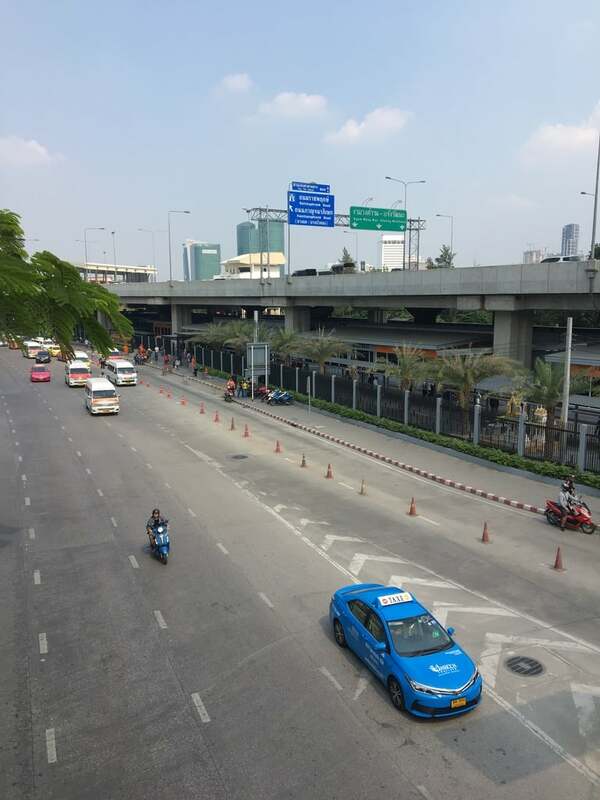 To get there without chartered buses, you can take the mini van from the Mo Chit Mini van terminal ( which is opposite the Mo Chit long distance buses). 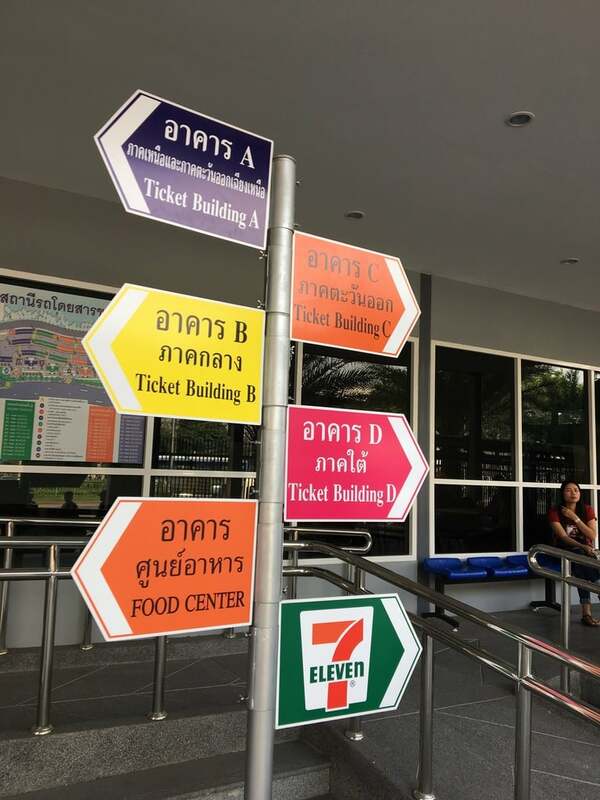 From there just head to the “D ” building and at row number 4 you can get a direct ticket to Chom Bueng at about 130 baht ( SG$7 estimated). The distance is about 160 km away and seriously the Mini Bus may be a bit cramped, it is definitely the fastest and most direct way to get there especially if you do not speak Thai that much. 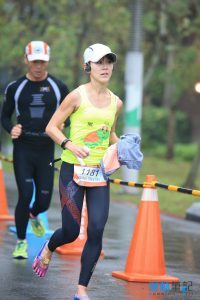 You can sign up for their race at the official website. Do note that the slots are like hot cakes and gets sold out within a week. You can also write in through Facebook Messenger or Email after that to check if you can get a waitlist slot. 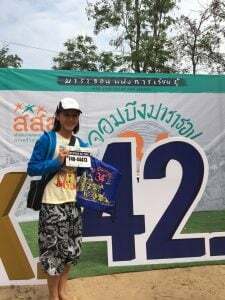 I joined the Full Marathon at the cost of about 800 Baht ( about SG$40) it is really cheap because not only finishers will get 2 tee shirts and a drawstring bag, the mandatory finisher medal. 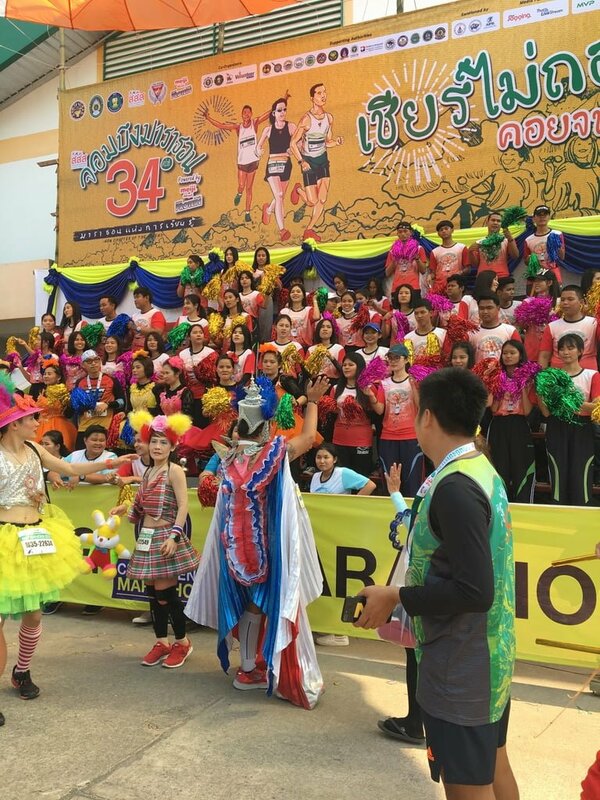 There is a carnival of Thai food for breakfast after the race. 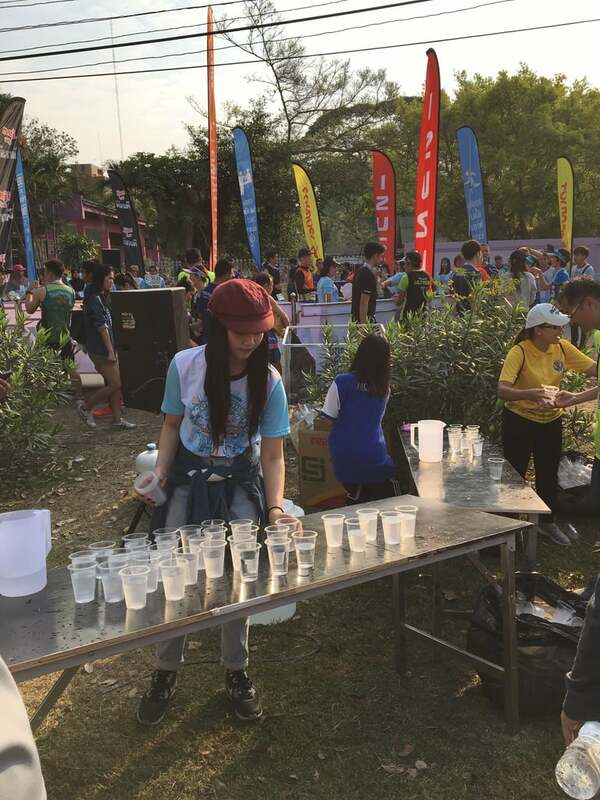 The race has a water point almost every 2km and has a team of on the ball medics checking out almost every 5km. To top that up, this race is IAAF certified too. 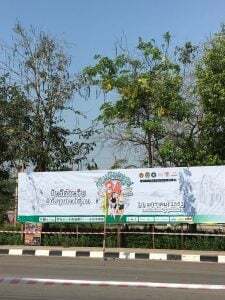 Held at the Muban Chom Bueng Rajabhat University main Hall. 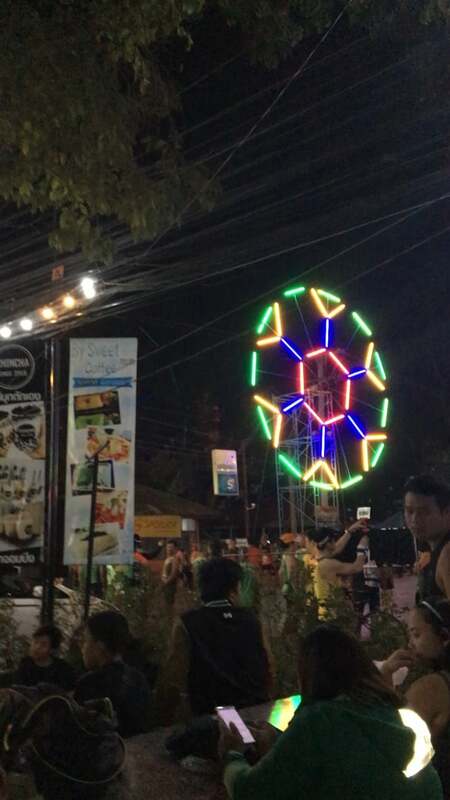 The whole town is basically an University town. It gives you a nostalgic feeling to be back here. Buildings an structures are like in the 90s. Accommodation can be very challenging, so check their Facebook page often to see if you can get a tent or stay at the Lady only zone in the school building. 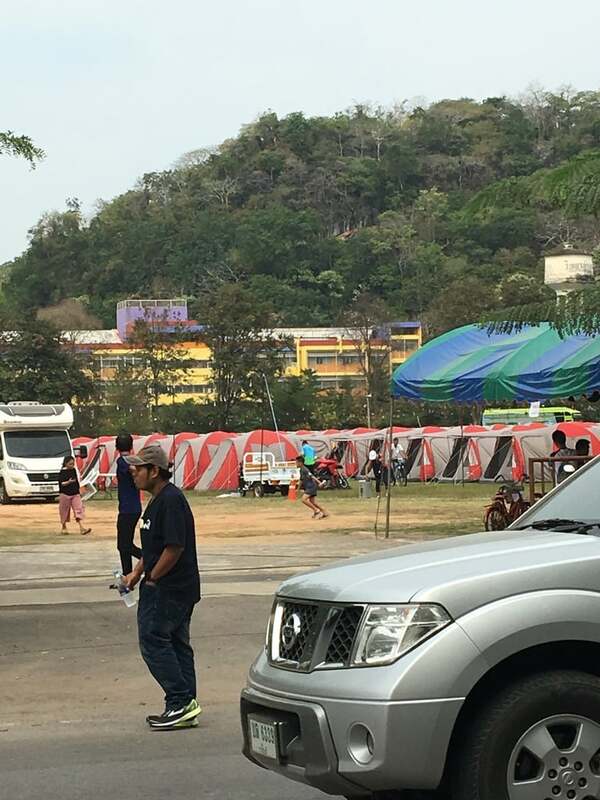 Staying in the University itself will save your travelling time required to get to the start line as the Start and end are all in the University itself. The whole place turns into a big sports bazaar for the two days. 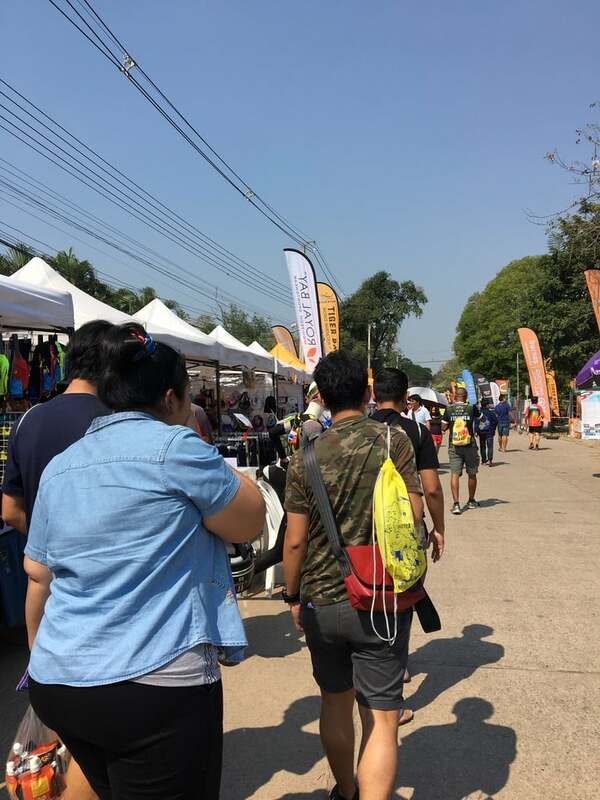 Runners can get their running needs at the fair, there was also a food bazaar beside the school field where you can get many Thai favourites. 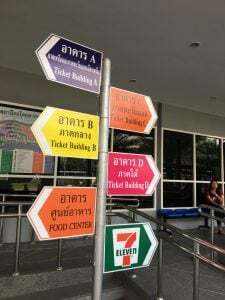 Even if you do not like the food in the Bazaar, the main town itself has many choices and the 7-Eleven convenience store is the best place to shop for your last minutes needs. 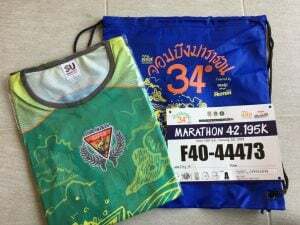 Although the race pack is very simple, I judge that most of the cost is gone into organising the race itself. 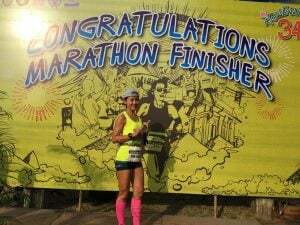 The route is simply fantastic for the FM, just one turn back and its the Full Marathon done. 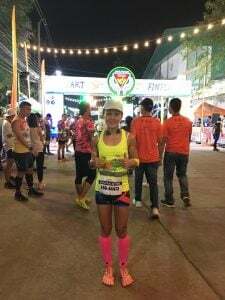 There were not much elevation and the course is flat. 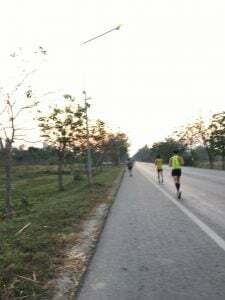 It does help that Chom Bueng is pretty cooling in the morning making the run felt good. 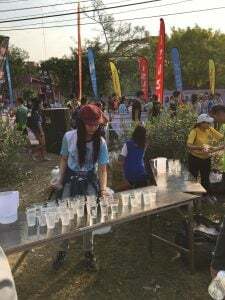 Along the way there are water points serving water, Isotonic and basic fruits like watermelon and banana. 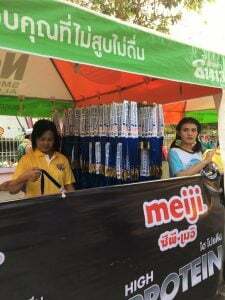 It is very well organised. 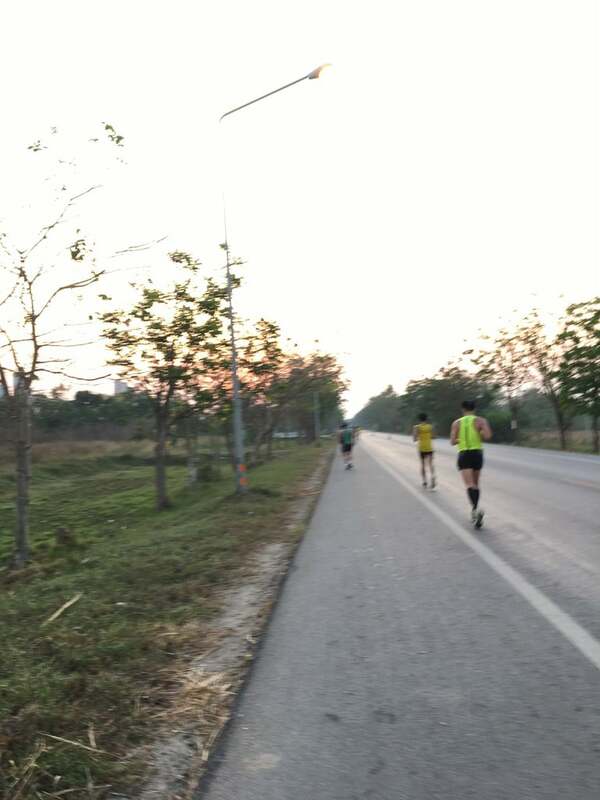 You only get to meet the Half Marathon , 10Km runners way further nearer to the finish line, but the road is wide so there are not much congestion. There were also a lot of photographer lined throughout the whole race. Especially so towards the end of the race. I had like 95 shots in all. After checking on other people, everyone seemed to have more than 50 shots and it is not difficult to search, just get into the running connect webpage and you can just key in your bid and there you go all the pictures. The pictures can be downloaded in low quality, or if you want , you can purchase the shots too. 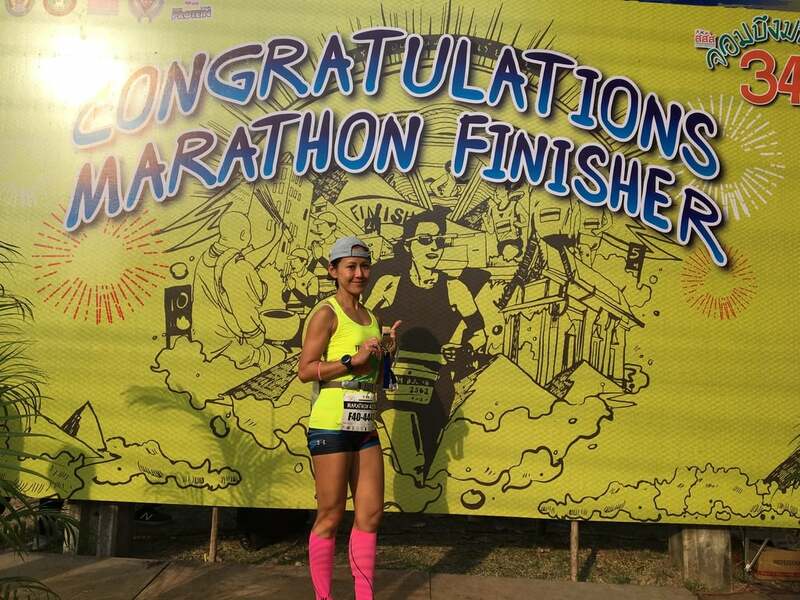 The ending portion is superb with the red carpet lined on the floor , really give the runners a VIP feel. With photographers at the end , you will not miss your finishing picture at all. The finishing carnival is very well organised too. 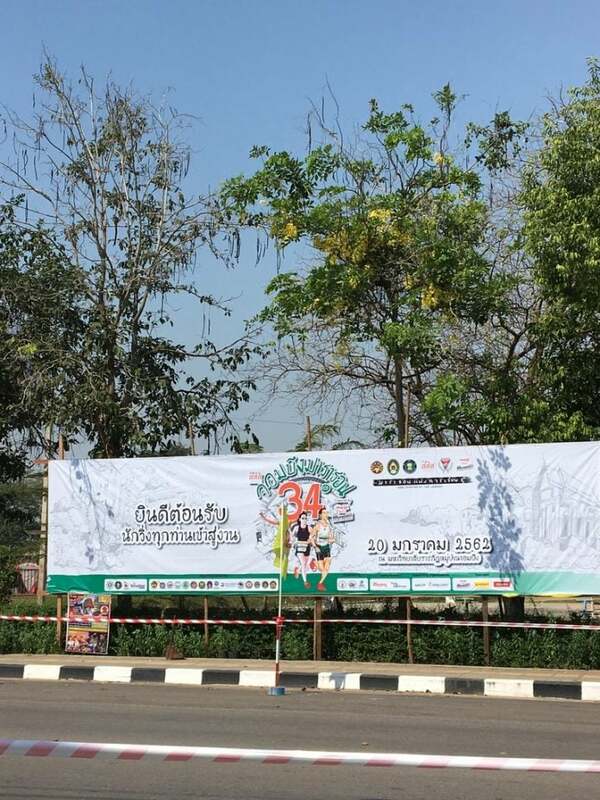 Full marathon has its own dedicated area while Half and 10km has their own. Both have sumptuous breakfast spread out, which you can retrieve with the coupon dished at the finished line. 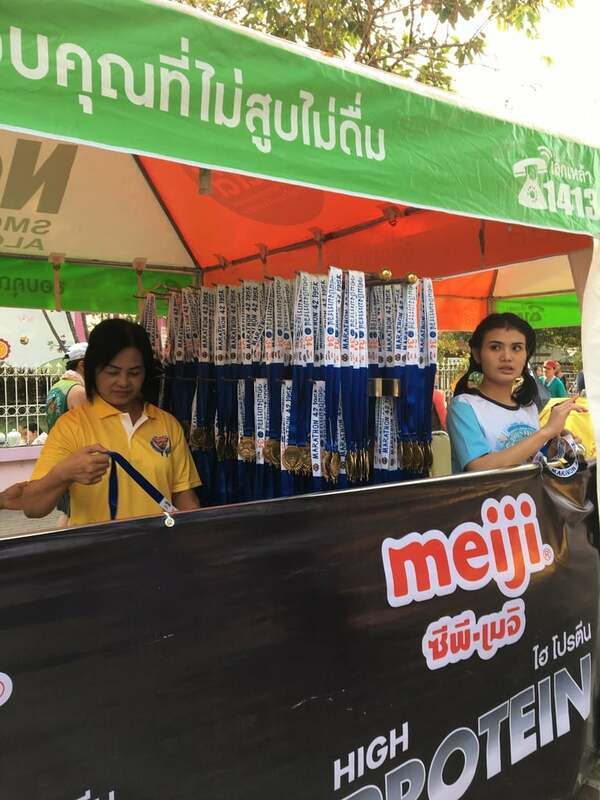 There were also many exhibitors displaying food and recovery drinks with samples and free gifts for all. It felt more like a fun fair than anything. 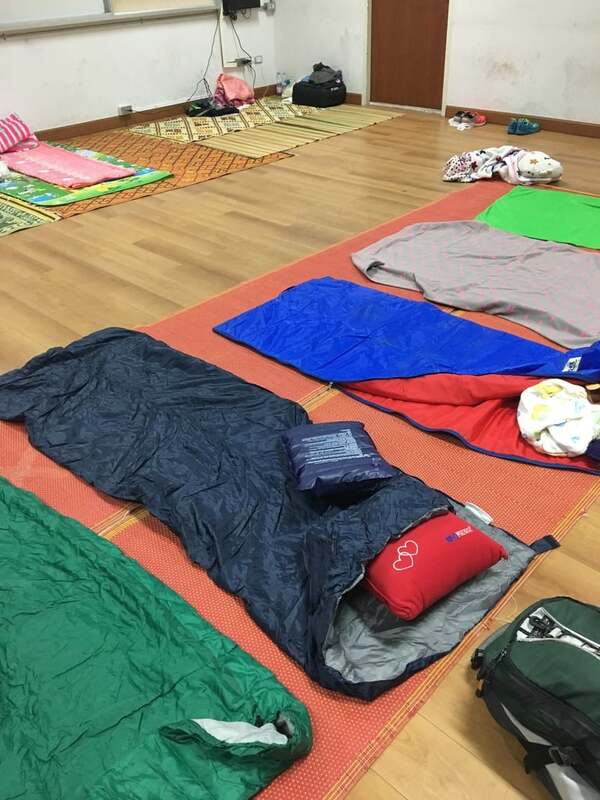 There were also massage counters to give those sore legs and feet a good rub. 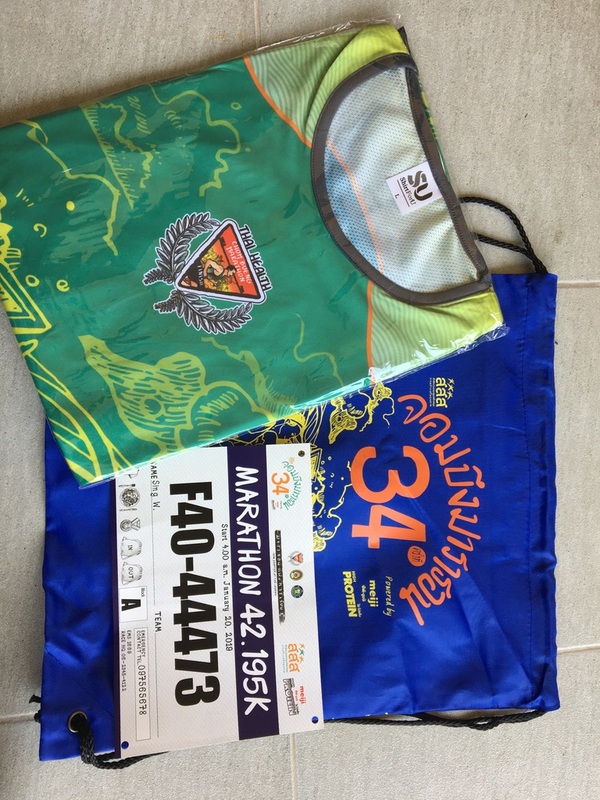 Overall, another race which I will recommend as it is really very relaxing and good to run.